By all indications, Monday could be a quiet trading day, but don't let the placid mood in the markets fool you -- investors are preparing for a rush of initial public offerings this week. The company behind the popular Candy Crush Saga online game is one of 14 companies set to go public this week. The IPO mania is part of a longer term, global trend that has seen many companies make their public debut. 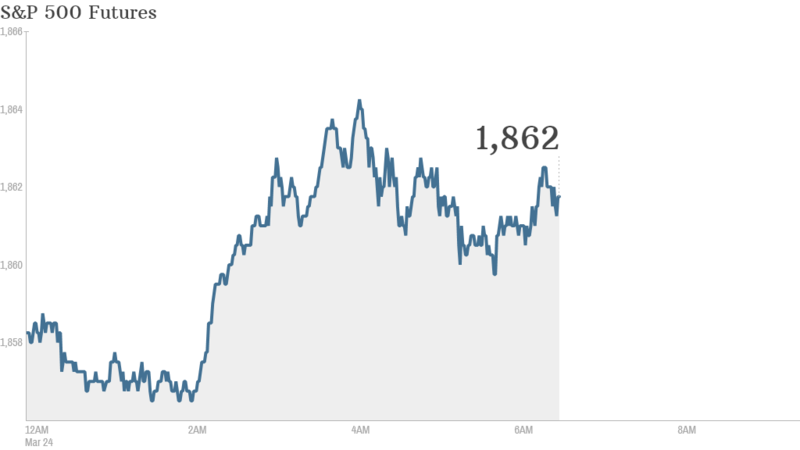 U.S. stock futures were relatively firm heading into the first day of the trading week. There's little economic or corporate news on the docket Monday that could influence market sentiment. U.S. stocks slumped Friday, at the end of a strong week. The Dow Jones industrial average, the S&P 500 and the Nasdaq all closed in the red. European stock markets were all lower in midday trading as the Russian takeover of Ukraine's Crimean peninsula continues to dominate sentiment. Asian markets ended with some significant gains. Japan's Nikkei jumped by 1.8% after a long weekend. The Hang Seng in Hong Kong shot up by 1.9% and the Shanghai Composite rose by 0.9%. The stock surge comes despite HSBC data that showed Chinese manufacturing activity fell to an eight-month low in March.